Know What Products You Sold, When You Sold Them. 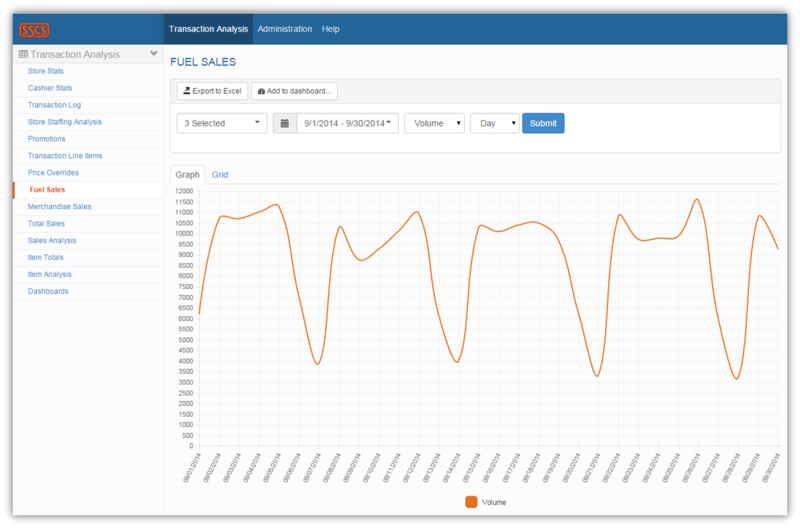 Transaction Analysis' Fuel Sales report adds accuracy to your fuel ordering process and monitors how your price changes impact sales over time. This report can be run for any selection of sites and any timeframe. You can view sales by volume or dollar amount, and by day or hour. Want to see how many customers actually go to a competitor if you hike your margins up by five cents a gallon? Or which hour of the day is most popular for selling fuel? The Fuel Sales report is a concise record of how much fuel your POS processed as sold, every hour of every day. The report below shows fuel sales per day over the course of a month at three sites, with the four distinct humps representing weekdays. 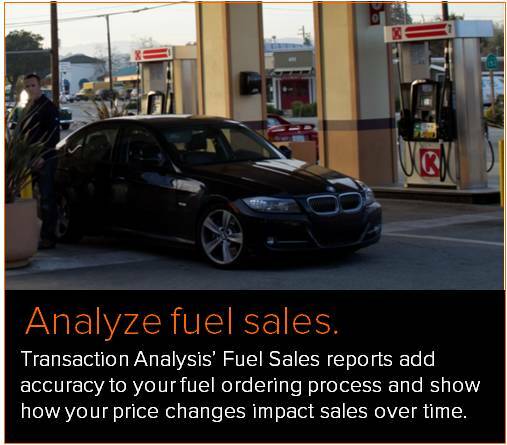 With Transaction Analysis' fuel sales monitoring capabilities, you'll always have the information you need to make executive decisions related to fuel pricing and purchasing at your sites.